On december 6 2005 around 9h00 (eastern time) a link to my nes mods page was posted on the make blog. At 23h00, a link was added to digg. Digg is so popular that my internet saturated instantly. 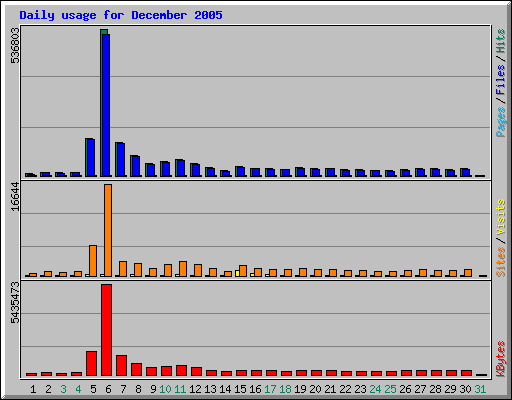 The traffic was at it's peak on december 6 and diminushed until december 9. On december 10 and 11, I got a little more traffic due to the week-end.